Some patients with blockage in their heart arteries clearly benefit more from open-heart surgery to restore blood flow to the heart. These patients have extensive blockage in all three major arteries or in an artery called the “left main.” In comparison to open-heart surgery, angioplasty and Stenting is less invasive than surgery because the clogged or blocked artery is accessed from a tiny incision in the upper leg or the wrist. 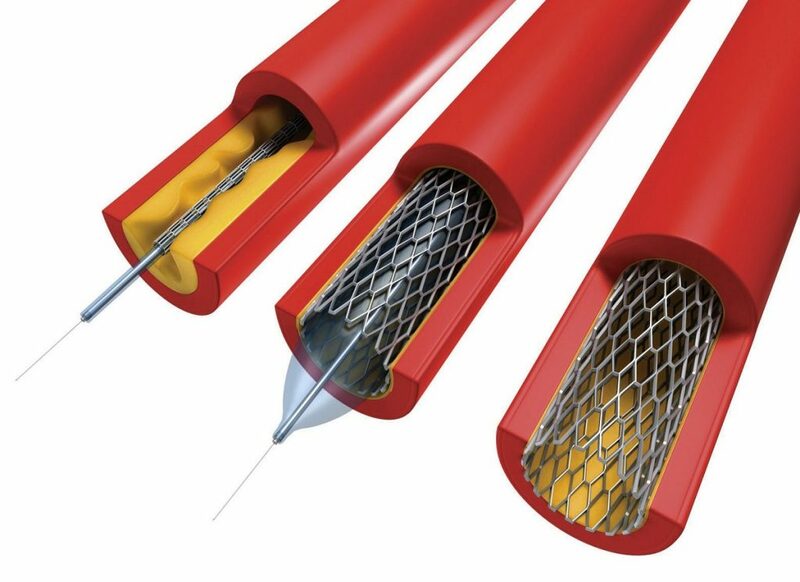 Angioplasty and stenting may allow patient to recover more quickly than other surgery, which can also mean less time in the hospital and returning to the patient regular activities more quickly. Acute complications: These are complications that occasionally occur during the procedure or immediately afterward. Angioplasty is a very safe procedure when performed by experienced interventional cardiologists. An artery may abruptly close during the procedure, which may trigger a heart attack in rare patient. 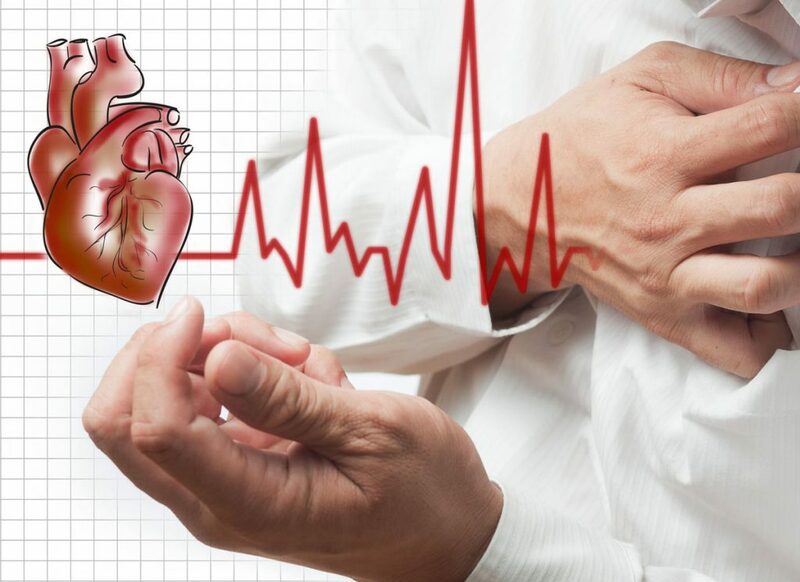 Long term complications: Even when the angioplasty procedure is performed without problems, the artery can narrow again months afterward, causing chest pain to return. This complication is called restenosis. 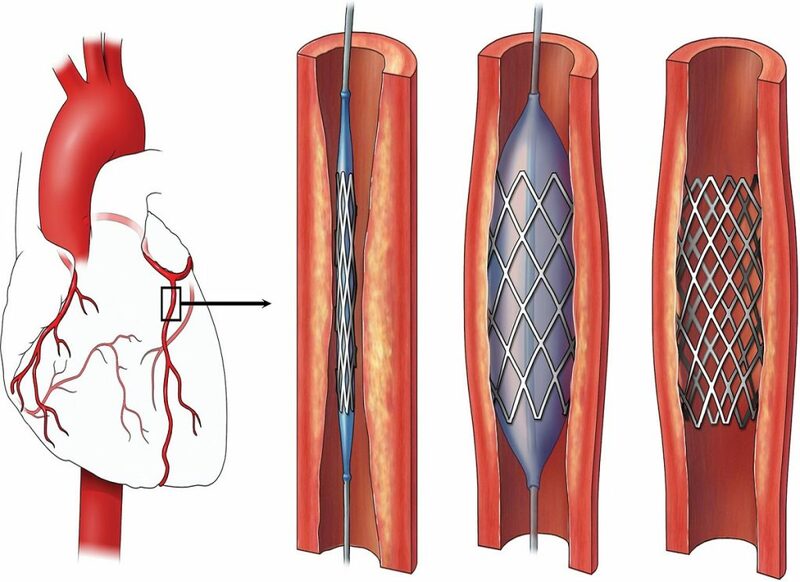 Restenosis is the medical term which refers o the gradual re-narrowing of artery during several months after angioplasty. Anti-clotting drugs (heparin, aspirin) are generally used before and after the procedures to try and prevent this. Bleeding or damage to the blood vessel where the catheter is inserted or in the inner lining of the artery. An allergic reaction to the dye or to the stent. 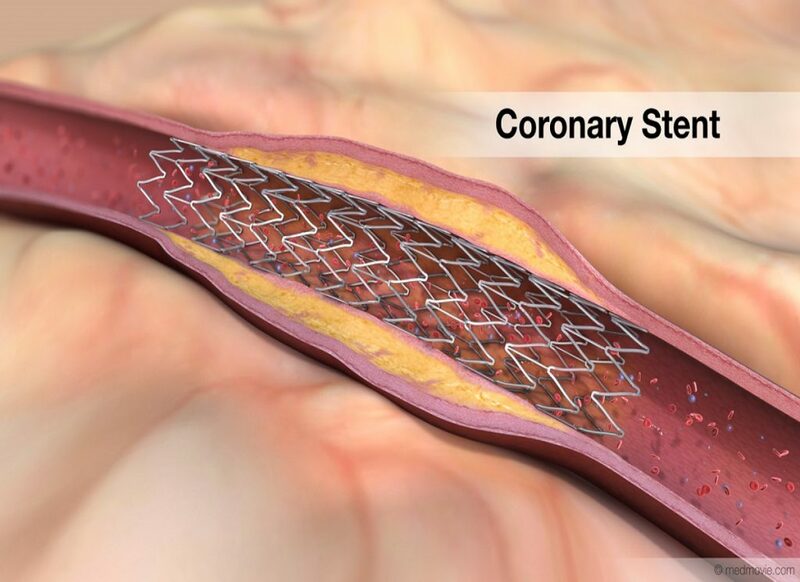 The procedure may need to be stopped and coronary bypass surgery (CABG) performed if the blockages are too numerous and severe to treat adequately with angioplasty and stenting. Scar tissue can grow within a stent (restenosis), requiring a repeat procedure. A blood clot can form inside the stent (stent thrombosis), which may require immediate medical treatment. Heart attack, stroke or death the more arteries involved, the greater the risk.